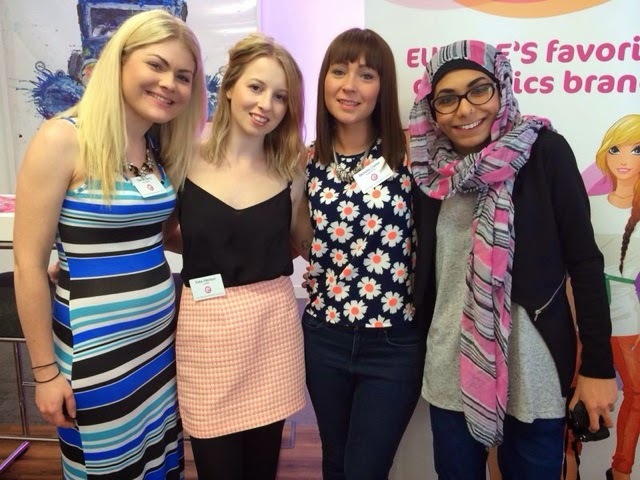 A couple of weeks ago I attended a blogger event for the UK launch of German cosmetics brand, Essence, in Manchester's Northern Quarter. Having never tried any of their products before, I was excited to see what the brand had to offer and possibly sample some of the products. It turned out to be one of the best events I've been to so far! Firstly, the Essence team (who had jetted in from Germany) gave a short presentation introducing us to the brand. 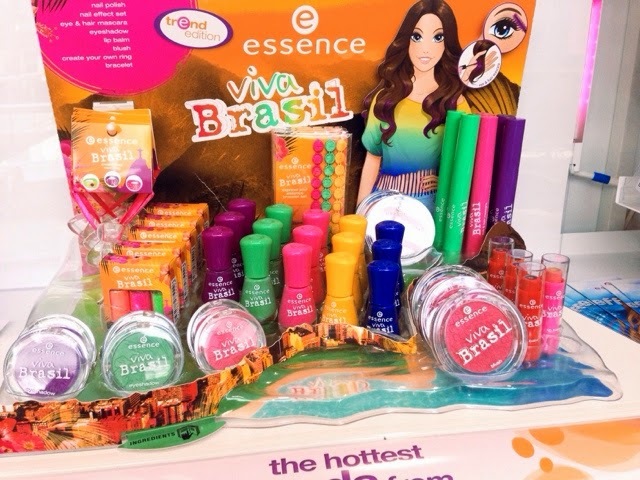 Essence launched in 2002 and since then has ensured that their products are of the highest quality for such amazing low prices, with prices starting from around 99p up to about £6. Essence prides itself on the fact that none of its products are tested on animals and they adhere to cosmetic quality standards - also going that extra mile to exclude any ingredients which are known to increase the risk of allergy. 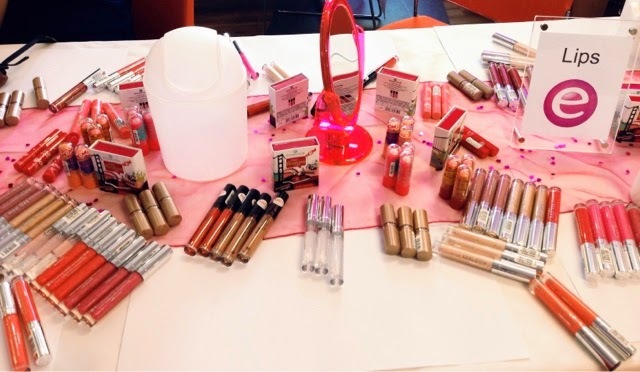 Essence is already Europe's number 1 cosmetic brand and now it's set to be launched in Wilko stores across the UK, along with stores in Westfield and Manchester Arndale. 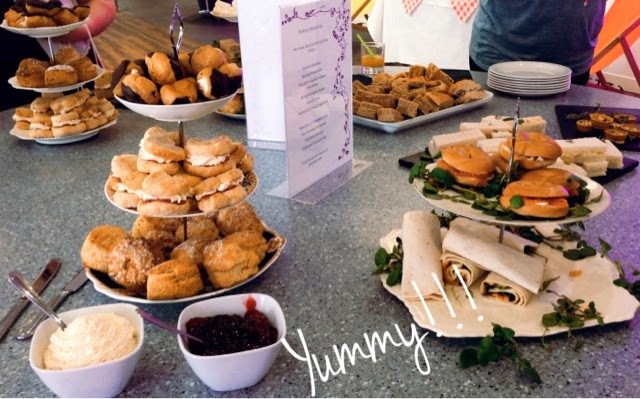 After the presentation we were invited to visit the several tables that had been set up to try out a large selection of the products Essence have to offer. Everything had been really well thought out and there were tables set up with products specifically for 'Eyes', 'Lips', 'Face' and 'Nails'. 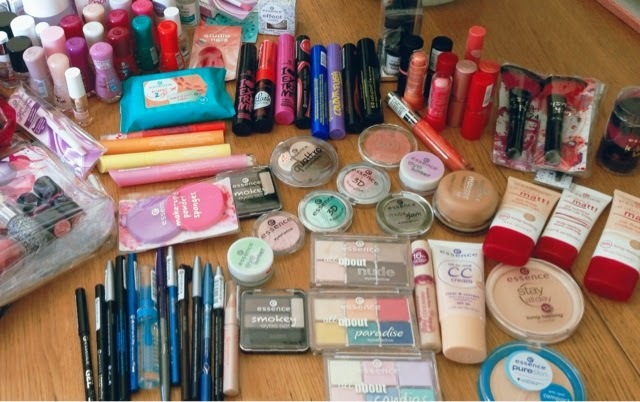 We were given a great goodie bag with lots of Essence products to try at home and then were also told to help ourselves to anything on the make up stand! I still can't believe how generous they were! I had a really nice chat with one of the ladies from the Essence team from Germany (I can't remember her name but she was lovely!) who was so passionate about the brand and told me how they like to offer products that are unique as well as the usual cosmetics - things like a handy nail polish corrector pen with refillable cotton buds and a little plastic invention that helps with painting the tips of a french manicure! There was a make up artist and nail technicians on hand for make overs and manicures so we could be pampered whilst mingling with other bloggers and members of the Essence team and, as if spoiling us with an abundance of cosmetics to take home wasn't enough, we were also treated to a delicious afternoon tea filled with sandwiches, cakes and tartlets! 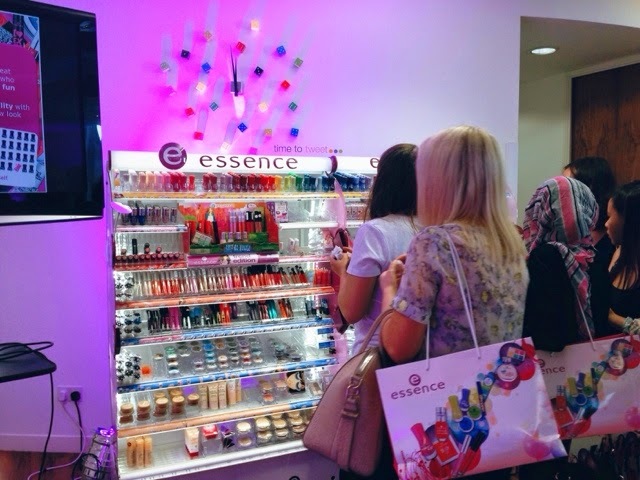 After the event we were taken over in small groups to the Essence store in the Manchester Arndale to meet the team there and have a browse of the selection on offer. 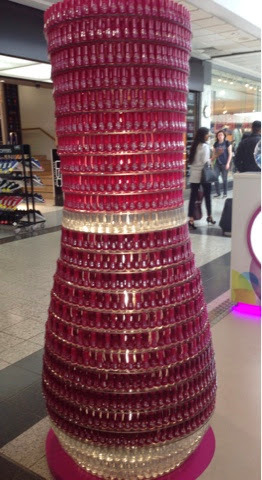 The first thing that caught my attention was the huge nail polish bottle made out of a display of hundreds of small nail polishes! It's very impressive and will certainly catch the eye of shoppers passing by. I think Essence will really appeal to younger girls and teenagers. 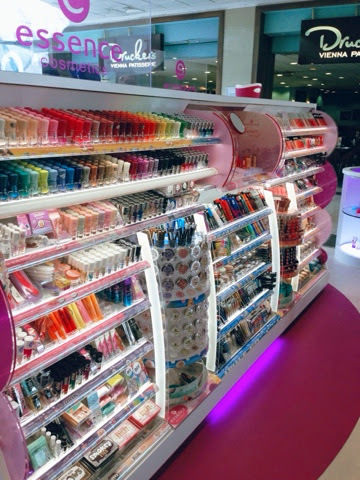 It reminds me of brands such as Miss Sporty, Barry M and 17 - trendy, colourful, fun and bright! The prices are super affordable without compromising on the quality and I think will also add to the appeal. I'm really looking forward to trying all these lovely products soon so expect some reviews in the near future! 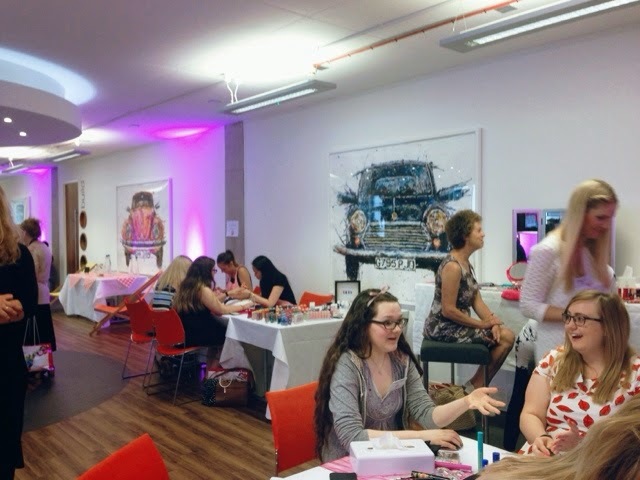 All that's left to say is a huge thank you to Essence and Heidi from Flipside PR who all put on such a fantastic event and one which us Manchester bloggers won't forget! I'm so jealous you got to go! I was meant to but did something with my foot on the weekend and couldn't! BOO!! Looks like it was an ace event!